The chords posted are in the same key as the recording. They may be new to beginning ukulele players but they aren't that hard to play, so don't worry! If however they are too difficult for you, you can play the song 1.5 steps down, so instead of Eb Cm Gm Fsus2 play C Am Em Dsus2. 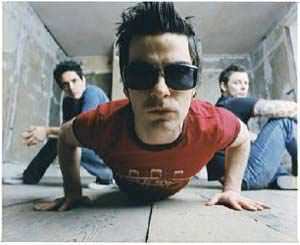 Stereophonics are a Welsh rock band, formed in 1992 in Cwmaman, Wales, United Kingdom, by friends Kelly Jones (guitar/vocals), Stuart Cable (drums; died 2010) and Richard Jones (bass) but no relation to Kelly. Colloquially known to their fans as the 'Phonics or the Stereos, in the years preceding their popularity, they went through shifting line-ups and were known by a variety of names including "KDR", "Zephyr", "Silent Runner"... .